Very good product. Stays on good. Enjoy the flavors. 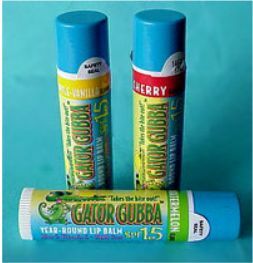 Gator Gubba SPF 15 Year-Round Lip Balm With Aloe & Vitamin E. Orders over $10 get free shipping option!